Our Dragon Dash fundraising officially ended and it far exceeded our expectations! Our school goal was $30,000, but thanks to all the students, parents, teachers, volunteers and administration we more than surpassed that goal, we crushed it! Coming in at $46,000!! After expenses, we netted just over $36,000, making this year’s Dragon Dash the highest earning fundraiser yet. We mentioned in an earlier blogpost how we were going to use the money raised - library design update, basketball court, etc. - and now we can safely say we WILL be able to do all those things! The money raised also allowed the PTO to allocate almost a third to every faculty member in the school - this includes specials, exceptional ed teachers, the literacy coach, guidance counselor and EL teacher. Each of these faculty members received at least $225 to spend on their classroom, and some received more based on their classroom and individual fundraising goals. It is but a small token of our appreciation for all the teachers who do so much for our students. The day of the Dash was no small event either. Our students showed such spirit and determination in running their laps. We are so proud of our Dan Mills Dragons! And thank you to the teachers, staff and parents who all supported the students in this event. The PTO is honored to be able to put on such a healthy event and fundraiser. 1. Library Redesign ($12,000+) - Our current school building was designed and built around 2001-02. The library was provided with standard furniture and it hasn’t been replaced or updated since. The vision is to take the current library space and make it a little more welcoming and versatile. We want to include some more flexible seating spaces so kids can grab a book, get comfortable and read. Wooden chairs just aren’t quite as inviting as a soft chair or comfortable couch! Some teachers also have book clubs that meet regularly, and we would like to include an area where these students could meet as a group in a creative space so they can delve in and explore the texts in a group discussion. Ms. Criswell, the administration and the PTO are excited with the prospect of transforming the library into a fun, inviting, cozy and comfortable space for inspire reading for all ages! 2. Financial Support for Teachers ($8,000+) - As you likely know, teachers spend a lot of their own money on special classroom projects or on classroom supplies. It’s also no secret that teachers are underpaid. So we can help them by providing them with the funds and resources they need to help their students. They can purchase those items that will make a lesson come to life or they can buy that bookshelf and fill it with books. Whatever they choose, it will ultimately benefit all of the students at Dan Mills! 3. Basketball Court (approx. $3,000) - This project has been on the wish list for a while. The playground out front is fantastic, but it’s really designed with the younger students in mind. We would love to build a small half court in the front field to provide an area where all students can play four square or basketball. It’ll offer more options to all our students and teachers, and foster more physical activity! 4. Picnic Tables (approx. $1000) - Students enjoy being outside, and we would love to add some tables near the front playground so teachers can take their students outside for a lesson or a special lunch. These tables would also provide seating after school for parents who enjoy bringing their children to the playground before or after school, as well as to the larger community who use the front playground in the evenings and on weekends. Now, obviously, if you’ve done the math, that doesn’t all add up to $30,000. The additional money will allow us to increase the budget on the school library redesign as well as add to our general PTO budget. As a PTO we are continuously funding curriculum requests for the teachers, paying for the house parties at Sky High, buying needed equipment for the classrooms and entire school, supplementing field trips so all students can attend and paying for many other things that impact our school. Your donations are not wasted and are always much appreciated! Dragon Dash fundraising kicked off on Friday, September 14. Race packets were sent home with every student, an email was sent, posts were made on Facebook and Instagram and Principal Yates did a call out. We hope you got the information. ;) Make sure to check out the Dragon Dash section of our website for how to get started. Our total school goal for this year is $30,000. If every student raises just $60 we can meet that. Better yet, we can surpass our goal if you raise more! To make it fun we are offering all kinds of individual goal incentives, bi-weekly raffle prizes for students who register and team rewards. The very TOP earner in the school will even win an Amazon Kindle! 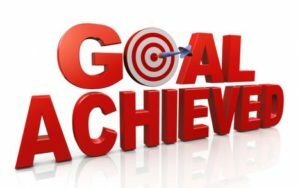 And meeting our school goal earns all students ONE WEEK of NO SSA! Check out more of our awesome incentives here. Just look at some of these cool prizes! Click here to see how to earn these and more. Now, you might be wondering why such a large fundraising goal? Where is the money going? Well, we at the Dan Mills PTO are committed to supporting our teachers at this school. And they need our support! 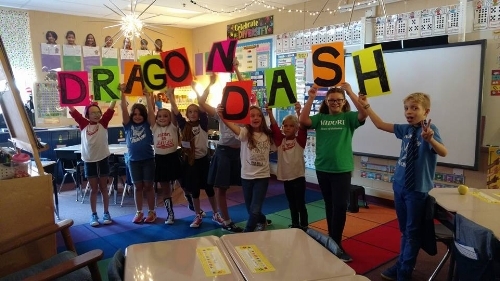 A portion of the proceeds from Dragon Dash will go directly to all teachers for them to use in their classrooms. This helps supplement their limited budgets. The rest of the money raised will go towards funding a design update in the school library, installing a basketball court and adding picnic tables to the front lawn. What’s even better is we get to raise the money all while promoting a healthy lifestyle. Everybody can win! Last year we raised more than $35,000, so we’re optimistic we can do it again this year. And look at all the fun had at the race last year. How can you resist such an amazing event?! Special thanks to all our 2018 Dragon Dash sponsors - Cumberland Cooling, 10:10 Creative, The Foundry Chiropractic & Upper Cervical and East Nasty. Everyone Crushed the Dragon Dash! Our Dragon Dash fundraising officially ended and it far exceeded our expectations! Our school goal was $20,000, but thanks to all the students, parents, teachers, volunteers and administration we more than surpassed that goal, we crushed it! Coming in at over $34,000!! This money has allowed the PTO to award $175 to every teacher in the school, including specials and exceptional ed teachers. What a gift for all the teachers who do so much for our students! And, of course, the money raised was already earmarked to help purchase literacy kits and more computers for the computer lab. The day of the Dash was no small event either. So many students in all grade levels ran their hearts out. We were so excited to see students participating in such a healthy event AND having fun with it! We heard several students saying what fun they had and that they wish we could do it again. Well, don't you worry ... this will be a repeat event next year for sure! On your mark. Get set. Let's Dragon Dash!! 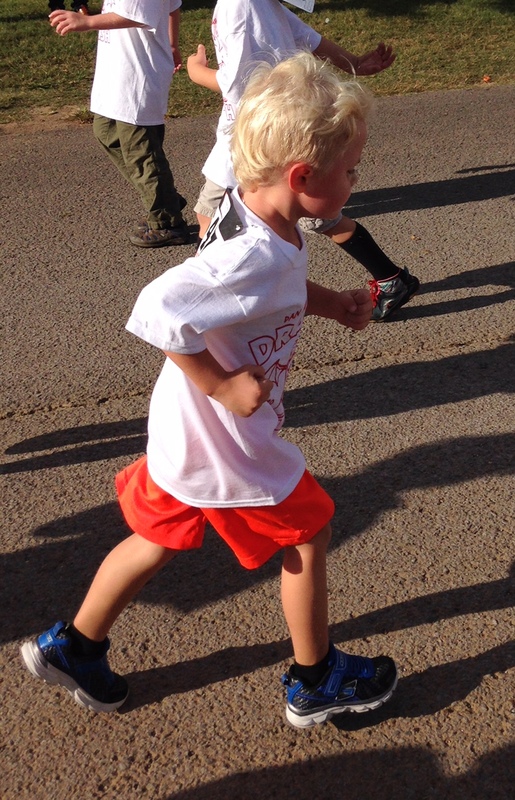 Dragon Dash fundraising kicked off on Friday, September 15. The PTO hosted a fun and entertaining pep rally at the school for students and teachers, and race packets were sent home with every child. Make sure to check out the Dragon Dash section of the website for how to get started. Our total school goal is $20,000. If every student raises just $50 we can meet that. Better yet, we can surpass our goal if you raise more! Proceeds are benefiting teachers in their classrooms, funding new computers and purchasing literacy kits for classrooms. And we get to raise the money all while promoting a healthy lifestyle. Everybody can win! To make it even more fun, we are offering all kinds of individual goal incentives, daily raffle prizes for students bringing in donations and team rewards. The very TOP earner in the school will even win an Amazon Kindle! Check out more of our awesome incentives here. Thanks to Emily Masters and her dance students for coordinating the cheer and dance portion of our pep rally.